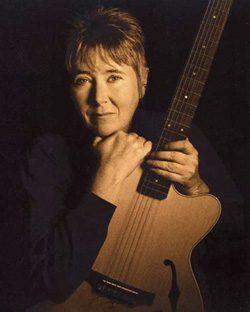 Laurie Dameron, has been playing the guitar for over 50 years and singing even longer. Between solo performances and performances with her band, Laurie D and the Blues Babes, she has performed for hundreds of venues in and out of Colorado over the past 20 years. Laurie has produced three CDs and is versatile with selections from folk, instrumental, pop, country, blues, and jazz that allow her to play a variety of venues. She has performed at Boulder Creek Festival, Capital Hill People’s Fair and A Taste of Colorado, Dazzle Jazz Club, The D Note, Mead Street Station and Mary’s Lake Lodge in beautiful Estes Park and many other venues. Dameron has opened for Denver acts; The Informants, The Delta Sonics, Lionel Young Band, Hazel Miller, Chris Daniels and the Kings and Dan Treanor Band and Afrosippi with Erica Brown. Laurie provides gentle acoustic instrumentals for seating; sing two or three songs for the ceremony; including special requests.For cocktail hour jazz guitar/vocals; romantic standards such as “Blue Moon”, “I’ve Got a Crush on You”, “Someone to watch Over Me”. She can spruce it up with some upbeat music and has been known to get folks up and dancing or can just create a nice ambiance and be background. Laurie is professional and you can count on her to be there not only on time, but in plenty of time to make sure all is set up – so you don’t need to worry.